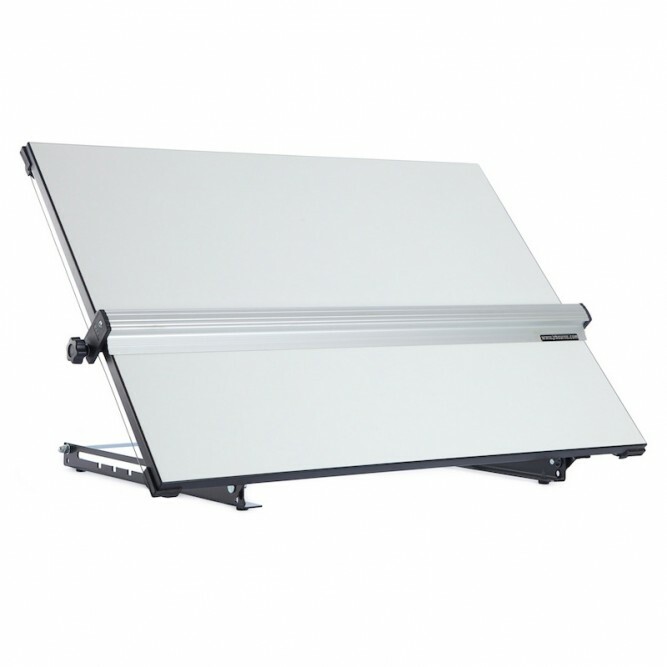 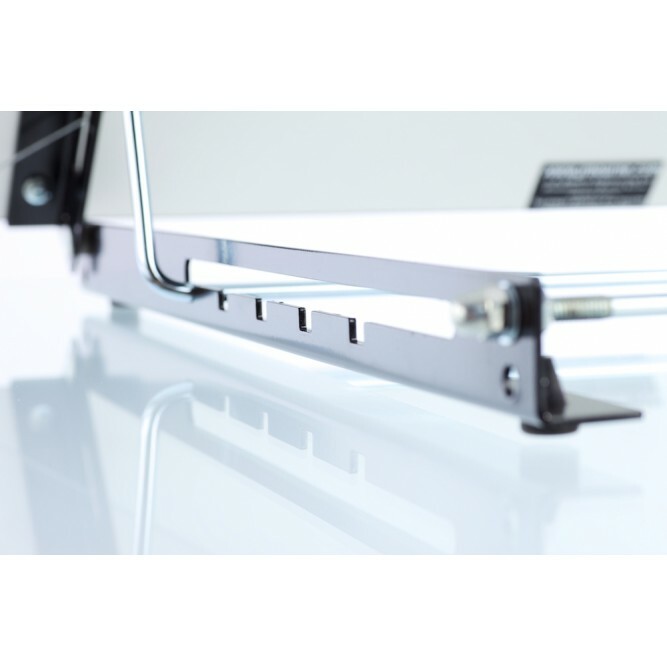 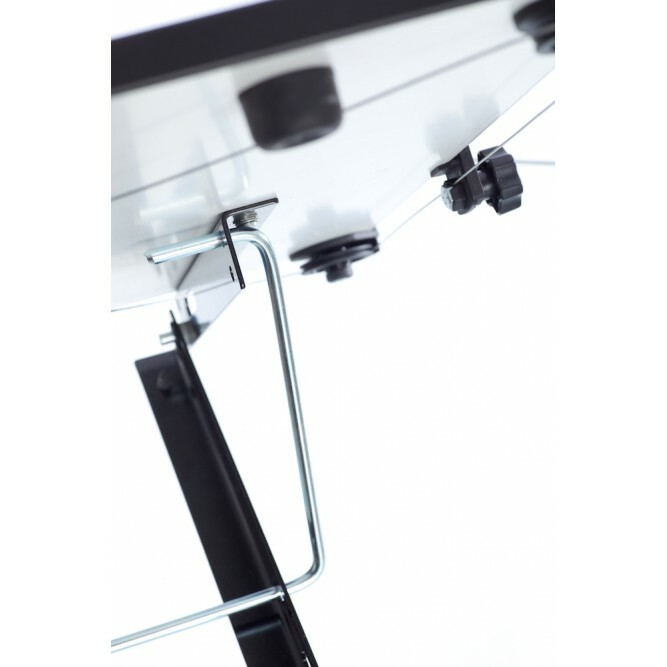 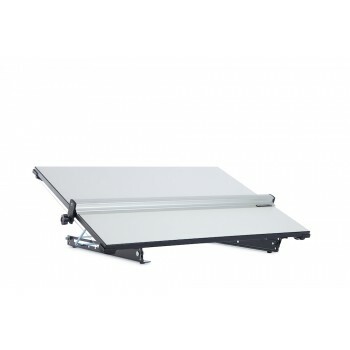 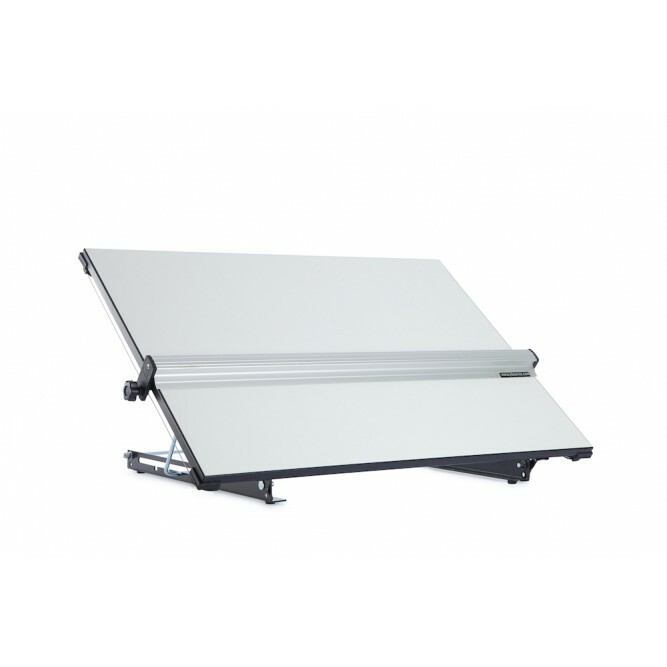 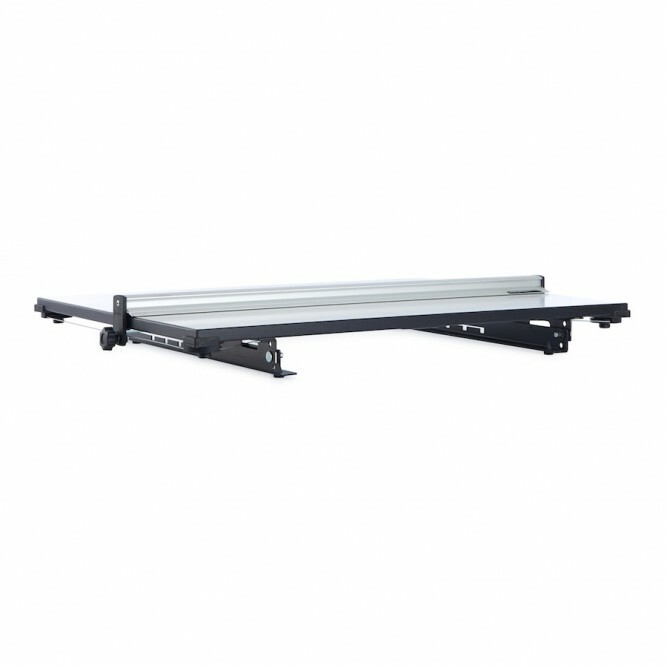 This portable drawing board unit of high quality has a back stand manufactured from steel. The Super drawing boards have a six position tilt angle 50,45,38,32,23 and 0 degrees and are able to fold completely flat if required. The impact resistant drawing surface has a stylish 3 mm thick P.V.C.edging for hard use environments. 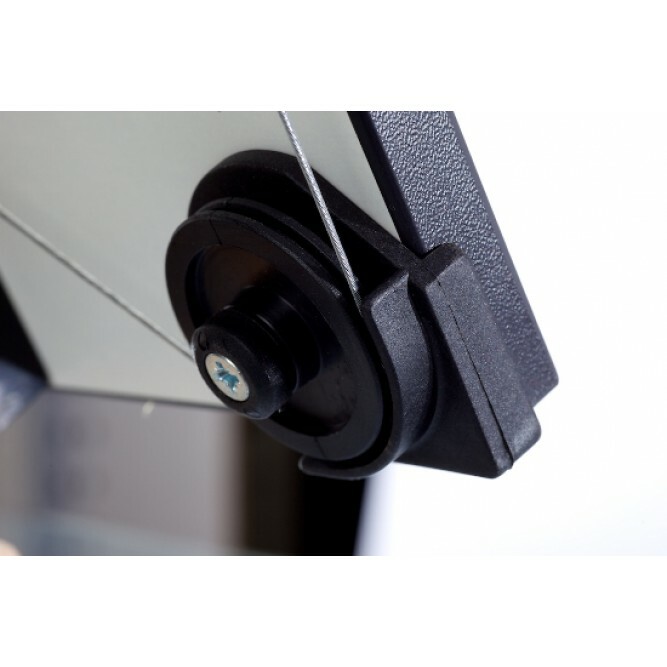 Drawing unit is supplied ready to use complete with a high quality x wire parallel motion assuring consistent smooth operation and accuracy. 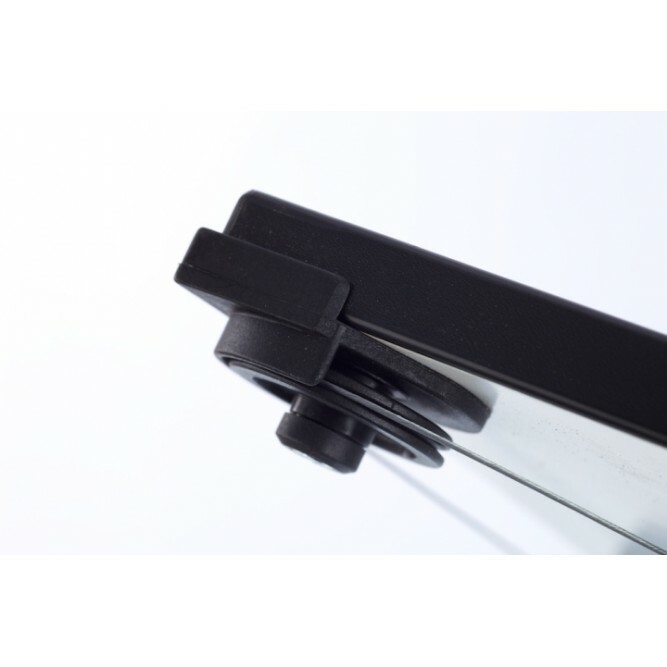 The professional straightedge is reversible having one clear plastic drawing edge and one metal inking/cutting edge. 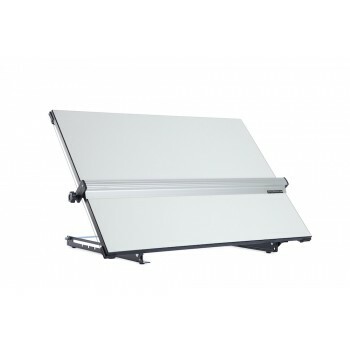 Drawing Boards are available in A1 and A2 sizes..
Made in the UK by J R Bourne Engineering ltd, manufacturers of drawing office products since 1974. Dont be fooled by cheaper products our's is the best.